Srinagar, February 27: Tanveer Hussain, one of Kashmir’s top athletes, had run a 100-kilometre “protest” marathon three years back to bring attention of government apathy towards sports. The boy ran from Srinagar City to Pahalgam with a dream of one day running on international athletic tracks and worked hard for seven long years to make this a reality. Though it did not fetch him desired results but he got the opportunity to work in the J&K bank. After getting job in the bank, Tanveer participated in several events held at State and National Level. Tanveer’s talent finally got noticed during one of these events and he was selected to participate in the World Snow Shoe championship that began in Italy earlier this month. Tanveer finished at number 31 in the event. His efforts was appreciated by everyone there. He is very happy to participate in such a big event and said that he had to complete with 300 runners from 14 different countries and he stood 31st in the competition. 23-year old Tanveer called it a learning experience. The boy is now preparing for another snow shoe competition which is going to be held in the United States. 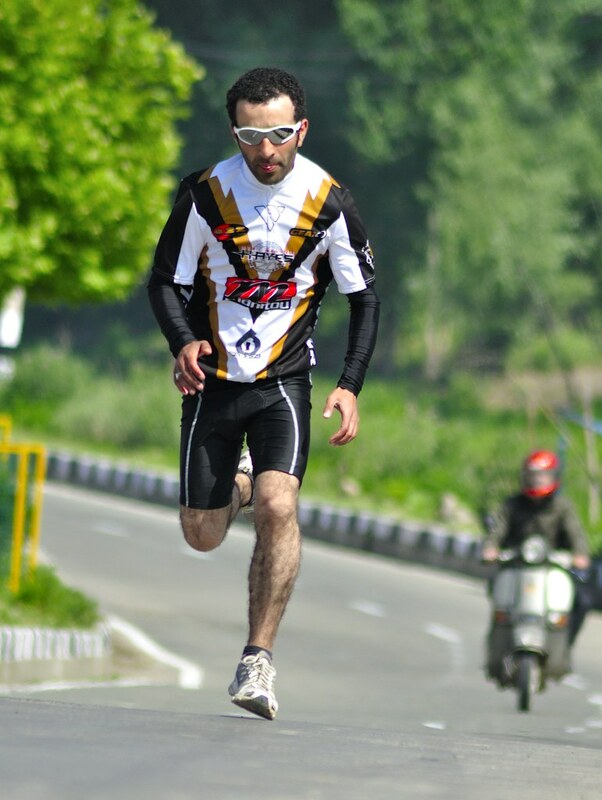 Running Marathons is Tanveer’s passion and his dream is to work towards the promotion of sports in J&K and inspiring youth towards sports.